Donnie Jean Jacobsen, of Great Falls, beloved mother, sister, aunt, and friend, passed away suddenly of a brain aneurysm on Aug 22, 2018. A Celebration of Life will be held on Saturday, Sept. 8th at 4:00 PM at the Fort Shaw Community Center. A private family burial will take place at Sun River Cemetery. Donnie was born on June 30, 1940 to Chris and Eva Jacobsen of Sun River. As a yearling, she moved with her family to the Ashelot Bench where her parents homesteaded. Following in their footsteps, Donnie's stewardship of the land became a life-long passion. 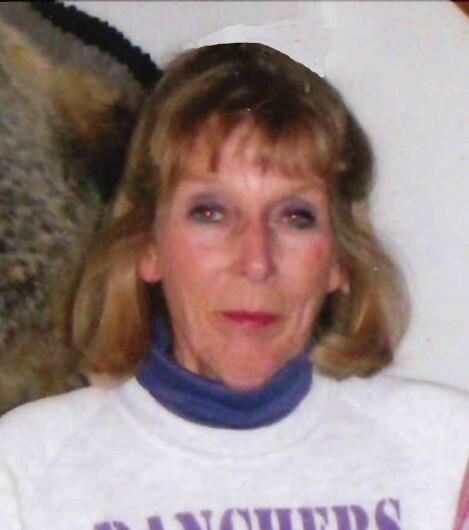 She attended schools in the Sun River Valley and attained her teaching certificate from Western Montana College. Her teaching career began in Brady and continued for 42 years at Lincoln School in Great Falls. She received her Master’s in Education from Northern Montana College. Donnie will be remembered as a teacher who loved and cared for every student she taught. More important than the quality of instruction, respect, and structure that she provided was how she kept her students' hearts tucked inside of her own. Room 3 was a safe, inviting place to be for students and faculty alike. It was the hub where everyone wanted to gather. A love of learning was also instilled in her nieces and nephews, thanks to Donnie's support and encouragement. They cherish the many hours spent reading together and the loving letters she sent to them with words of advice and wisdom. Reuse, recycle, re-purpose that was her mantra. Donnie was like the handcrafted bags that she created from recycled plastic - strong, beautiful, both on the inside and out, colorful, and forever enduring. She created an inviting and loving home that reflected her creativity and personality. Her flower garden was a seasonal masterpiece of color and art with hundreds of perennials beautifully arranged. There was always a homemade goodie and a cup of coffee when you visited. As the family poet and blessed with a gift of words, she wrote many touching tributes for special family occasions. She will be remembered for her intelligence, strong moral fiber, passion for life, but mostly, for her love and devotion to family and friends. Donnie was preceded in death by her father, Chris, and mother, Eva. She is survived by her son, Brad (Sherrin) DenBoer of Lincoln; sisters, Georgie Jacobsen of Sun River, Janet Myrick of Plano, TX, Kristen (Leo) Fleming of Ronan; brother, Wade Jacobsen of Sun River; many nieces and nephews and the dearest of friends. In lieu of flowers, contributions may be made to the Great Falls Public Library Children's Section, 301 2nd Ave. N., Great Falls, MT 59401 or the Sun River Valley Historical Society, P. O. Box 155, Sun River, MT 59483.